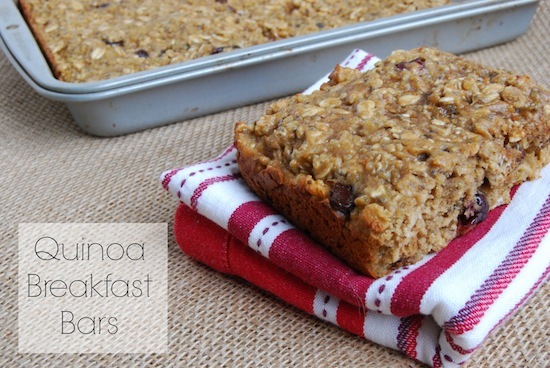 This recipe is PERFECT for a grab'n'go breakfast that's yummy and super easy to make! It eliminates the added sugar found in store bought bars making it a winner in my book! Spoon into a greased 7x11 pan and bake at 350 degrees F for 20 minutes or until golden brown.